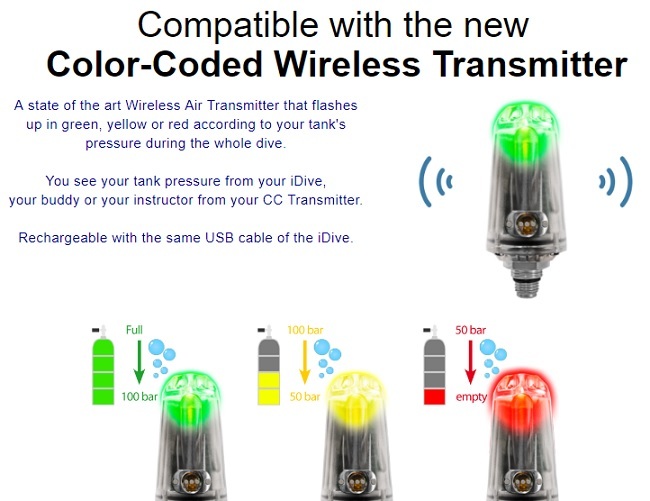 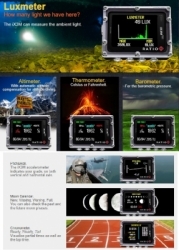 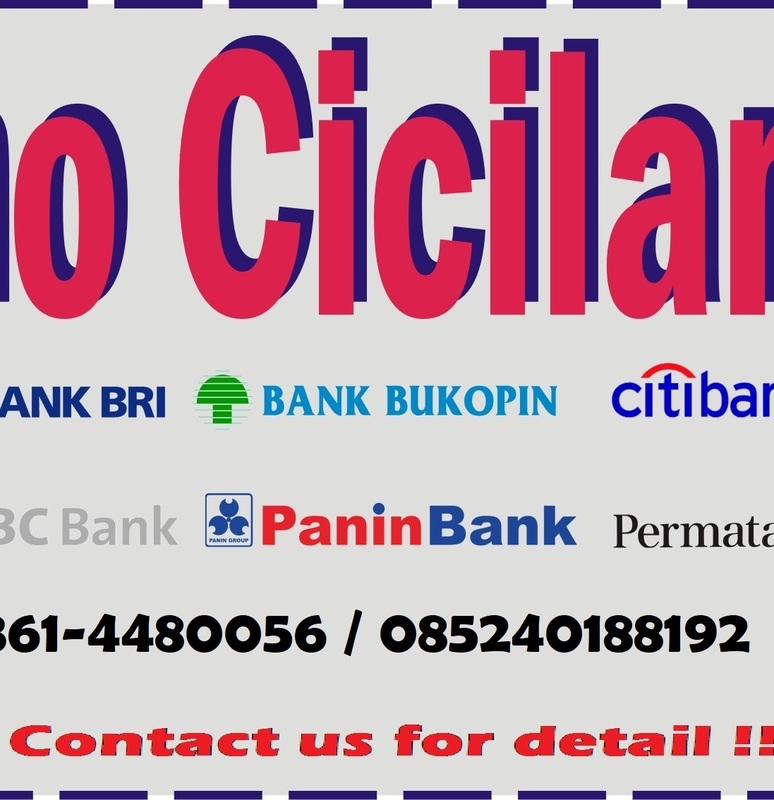 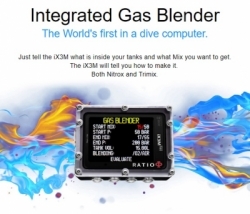 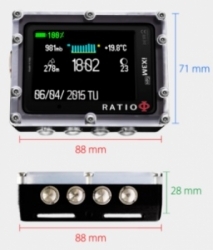 Dive Modes : Air, Nitrox, Trimix, CCR, Gauge AVG. You see your tank pressure from your iX3M, your buddy or your instructor from your CC Transmitter. 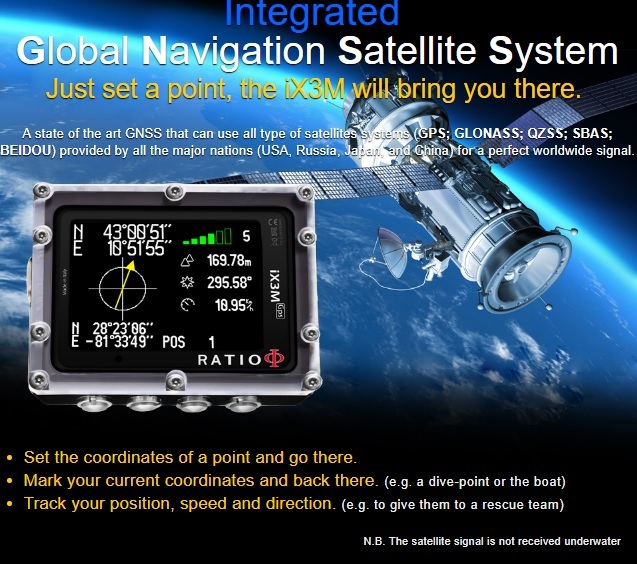 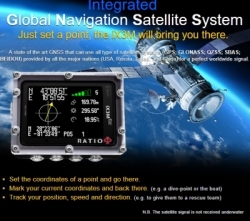 Global Navigation Satellite System Just set a point, the iX3M will bring you there. 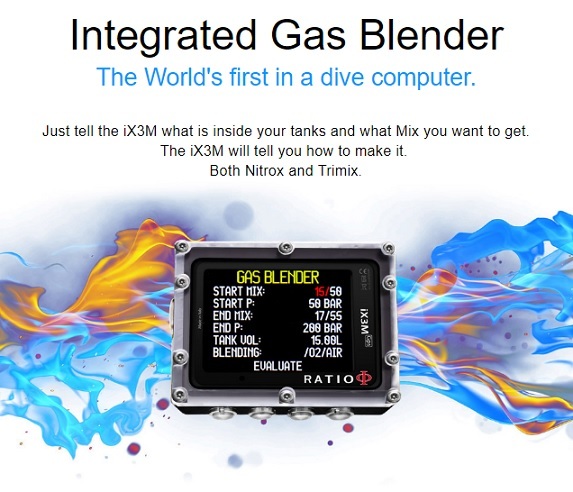 The iX3M features both the Buhlmann ZHL16-B and the VPM-B Algorithm. 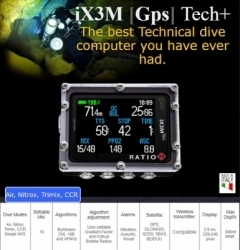 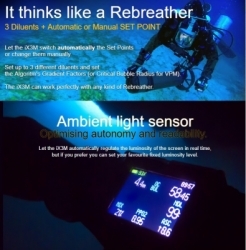 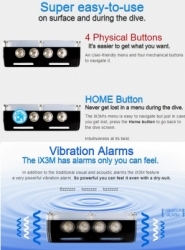 Set the iX3M's Algorithm according to your physical conditions and to the type of dive you are going to perform. 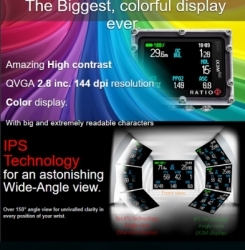 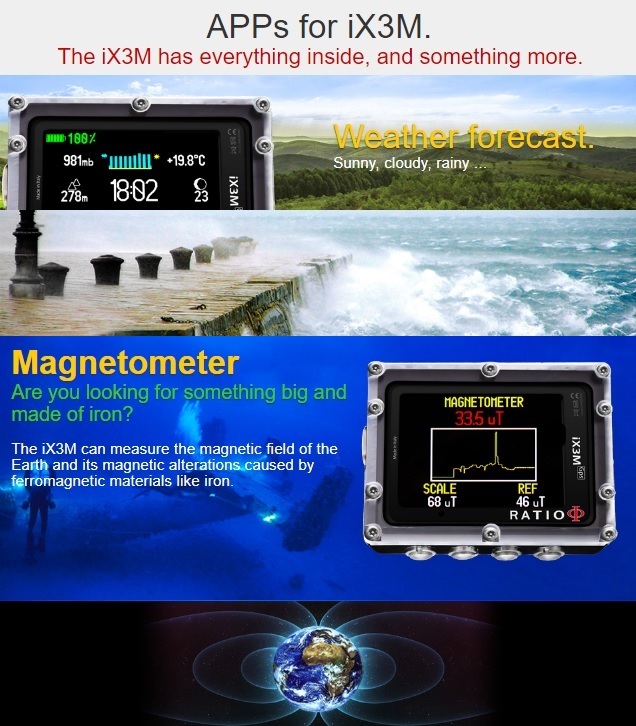 Directly from the menu of the iX3M computer. 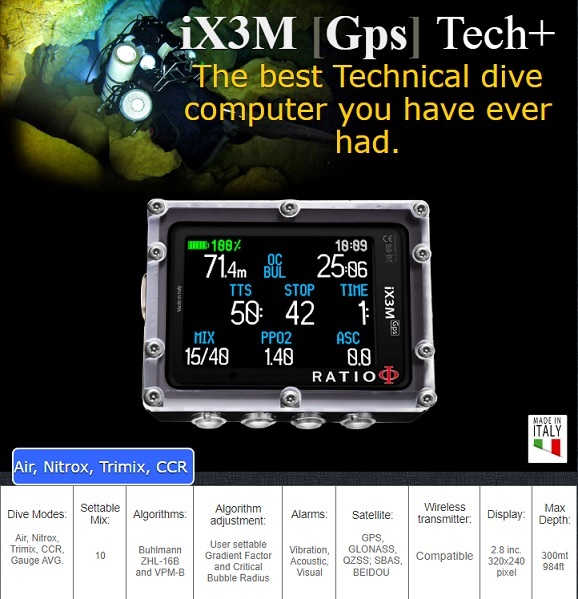 This is a true Technical Dive Computer. 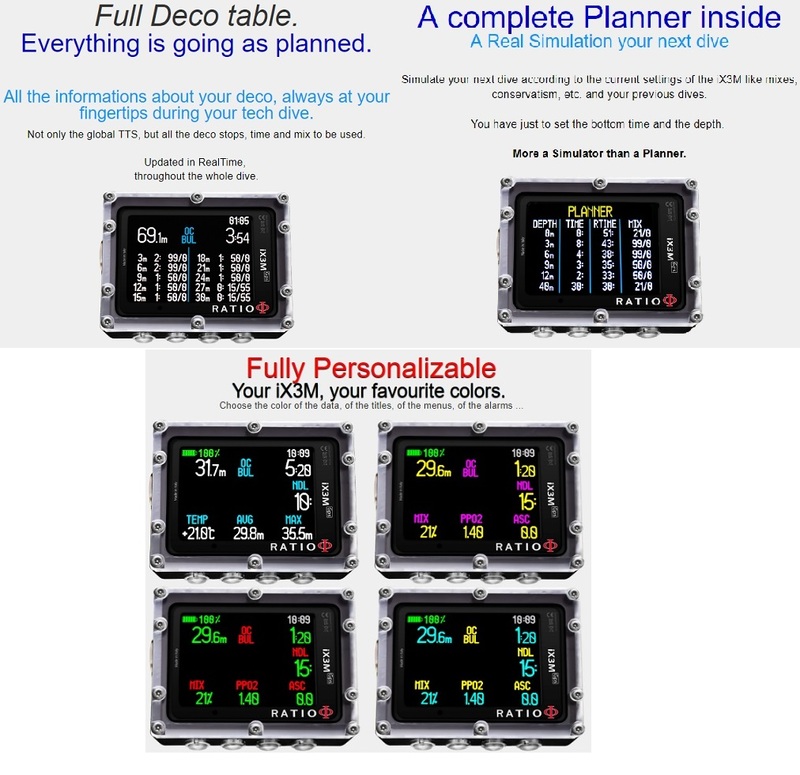 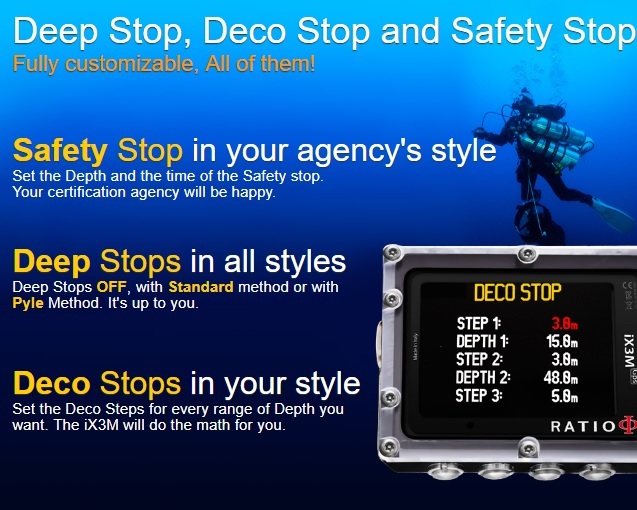 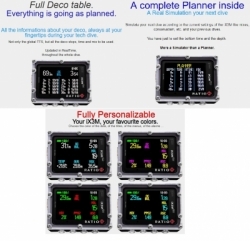 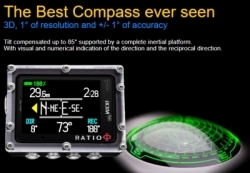 All the informations about your deco, always at your fingertips during your tech dive. 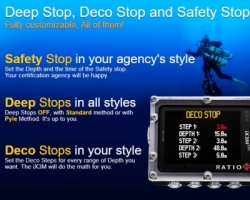 Not only the global TTS, but all the deco stops, time and mix to be used. 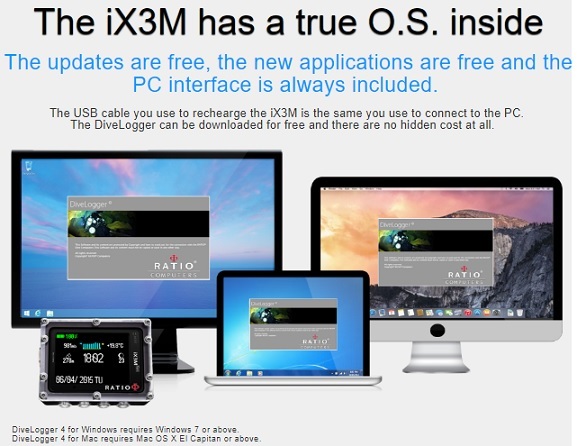 The iX3M is neither more nor less conservative in comparison with the other computers. It is just "right". 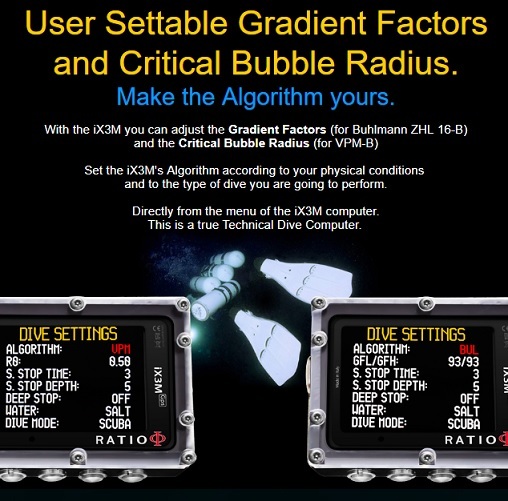 Simulate your next dive according to the current settings of the iX3M mixes, conservatism, etc. 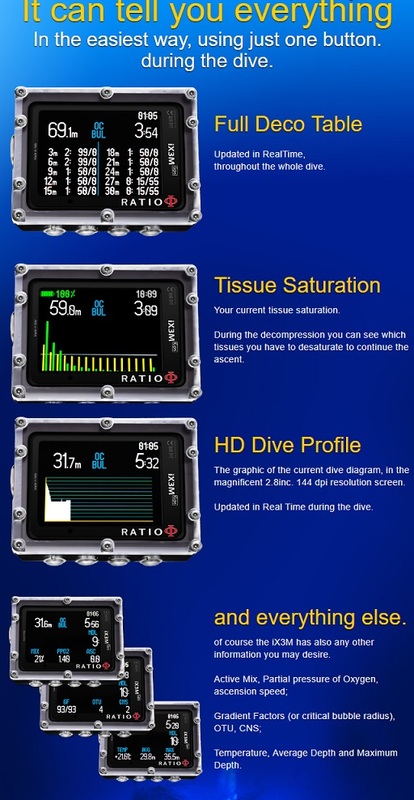 and your previous dives. 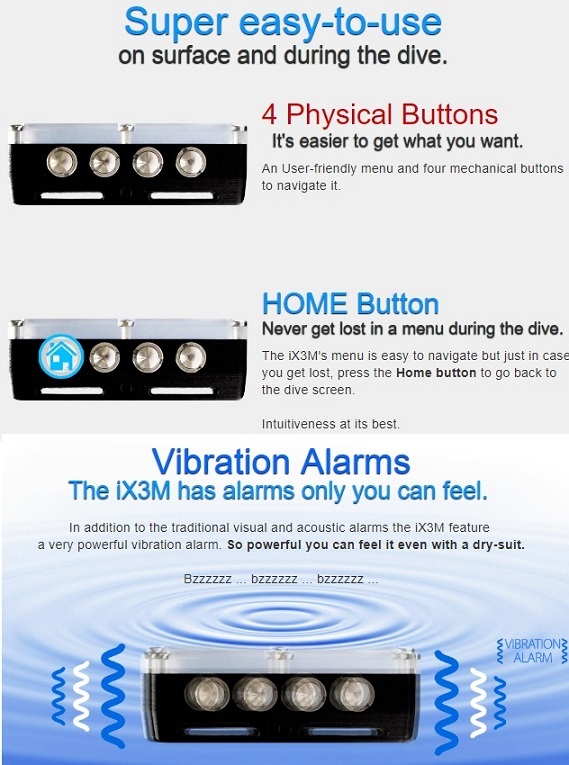 Let the iX3M switch automatically the Set Points or change them manually. 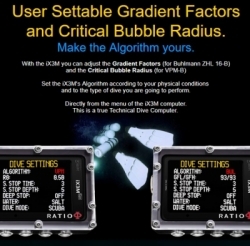 Set up to 3 different diluents and set the Algoritm's Gradient Factors (or Critical Bubble Radius for VPM). Let the iX3M automatically regulate the luminosity of the screen in real time, but if you prefer you can set your favourite fixed luminosity level. 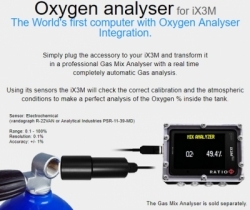 Simply plug the accessory to your iX3M and transform itnin a professional Gas Mix Analyser with a real time completely automatic Gas analysis. 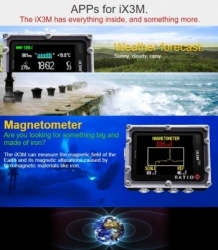 The iX3M can measure the magnetic field of the Earth and its magnetic alterations caused by ferromagnetic materials iron.